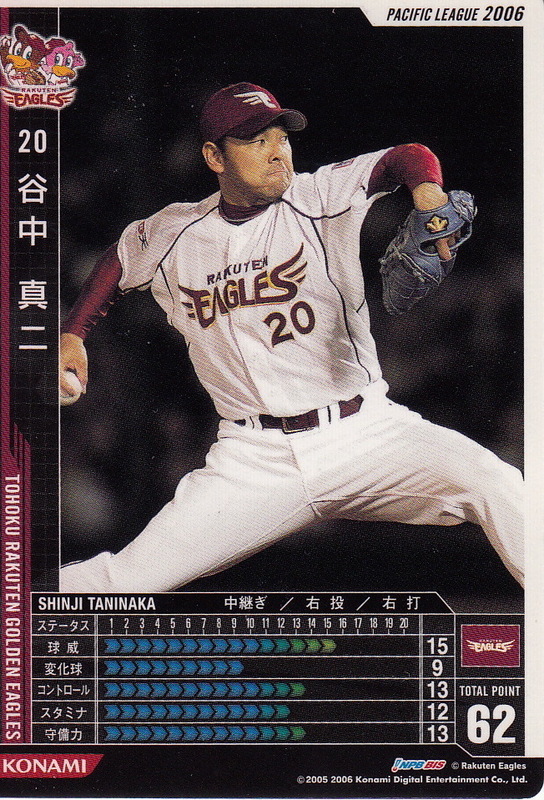 The Tohoku Rakuten Golden Eagles were born as an expansion team following the 2004 season to take the place of the Osaka Kintetsu Buffaloes who had merged with the Orix Blue Wave. 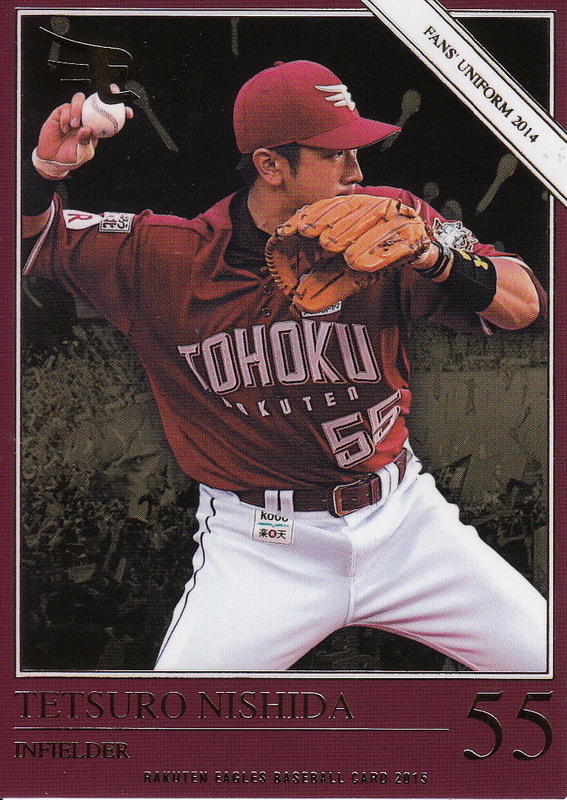 They've had no name changes since then and have kept Sendai as their home city. 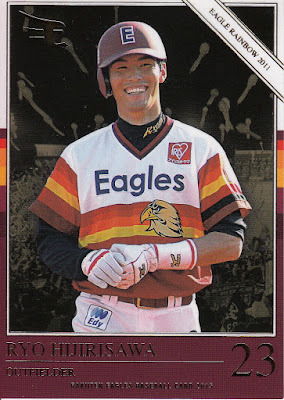 My source for this is only the Professional Baseball Uniforms Encyclopedia 1936-2013 as History Of Uniform was published in 2005 and so only has the first uniforms the Eagles wore. I'm also using the uniform posts at both YakyuBaka and YakyuDB. Obviously the uniform subset from last year's Eagles team set was incredibly helpful in doing this post. PBUE's listing for the Eagles are a bit confusing. There's no home uniform for 2011 indicated and there are what look like identical away uniforms listed for "2010-", "2011" and "2012-". Based on this and this I went with the home uniform for 2011 being the same one that PBUE lists starting in 2012 and the away uniform started in 2010. 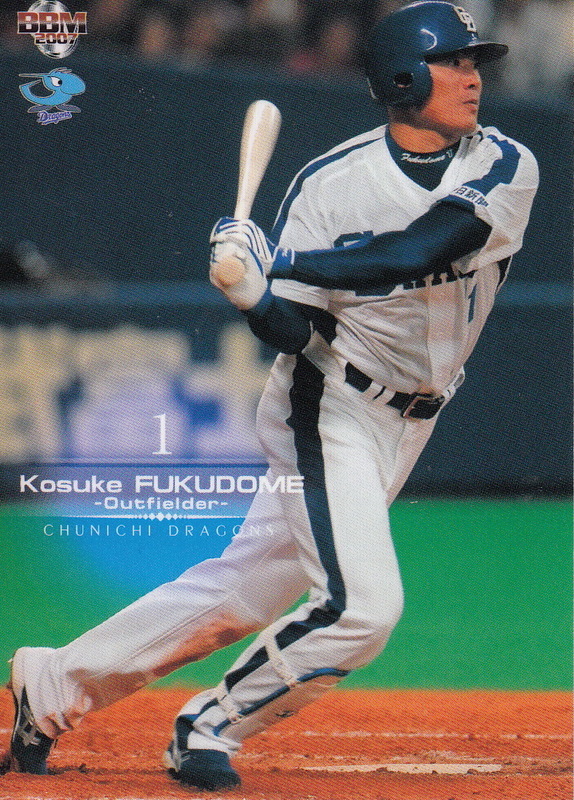 The only real change in the home uniform was the font for the number and player name changed and they were made by Descente rather than Mizuno. PBUE lists the uniform that I've identified as "Summer 2010-11" as only "Summer 2010" but I've seen ample evidence that it was worn in 2011 as well. The Eagles had special uniforms for both the 2011 and 2012 Spring Camps. 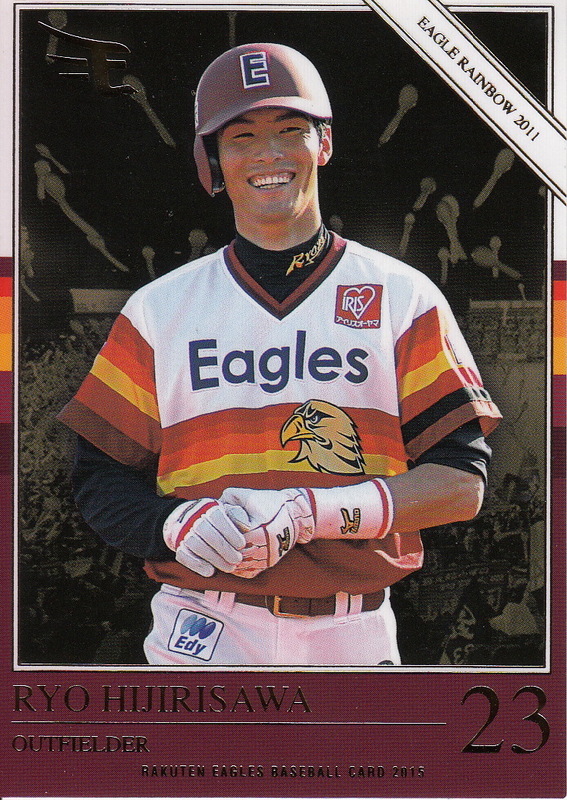 Oddly enough I could only find one card of a player who was definitely wearing one of those uniforms. It's hard to tell the difference between the 2011 Spring Camp Away uniform and the regular Away uniform so maybe there's a couple guys in the 2011 BBM 1st Version set wearing the Spring Camp uniform but I couldn't tell for sure. PBUE does not list the 2012 Spring Camp uniforms. 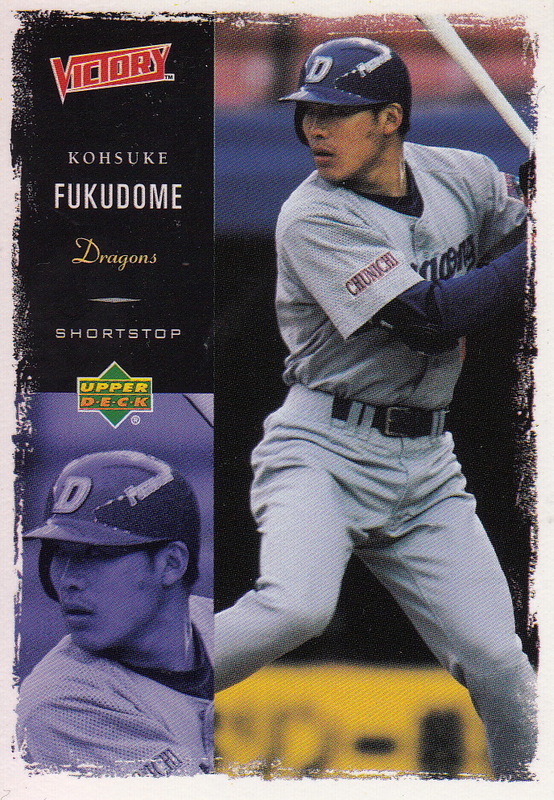 Kosuke Fukudome became the latest member of the Meikyukai last Saturday when he singled for his 2000th career hit (498 in MLB and 1502 in NPB) last Saturday against the Carp. Fukudome was the first round pick of the Chunichi Dragons in the fall 1998 draft. He had previously been drafted in the first round by the Buffaloes in the 1995 draft but choose not to sign and instead played in the industrial leagues for Nippon Life Insurance Company for three years. He left the Dragons as a free agent following the 2007 season and headed for America, spending the next five seasons with the Cubs, Indians and White Sox. 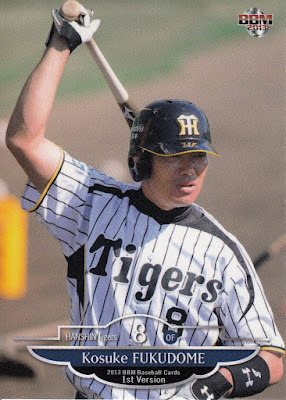 He then returned to Japan, joining the Hanshin Tigers in time for the 2013 season. 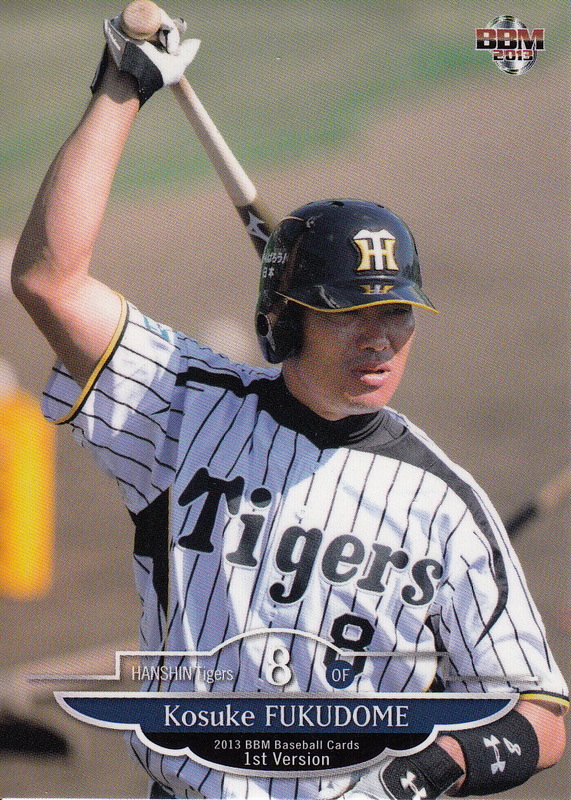 He's played for the Japanese National Team in two Olympics (1996 as an amateur and 2004) and two World Baseball Classics (2006 and 2009). 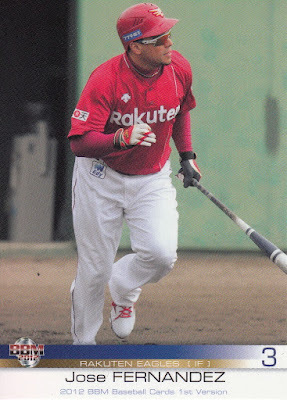 He had a pinch hit two run home run in the seventh inning of a scoreless game against Korea in the semi-finals in 2006 that kicked off Japan's scoring on their way to a 6-0 victory. 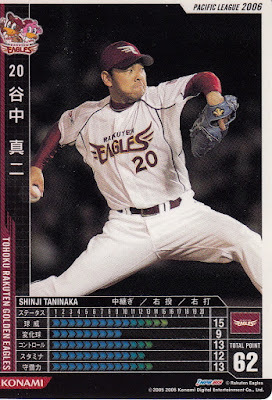 Inter-league play wrapped up last week* and once again, the Fukuoka Softbank Hawks were the "champions". 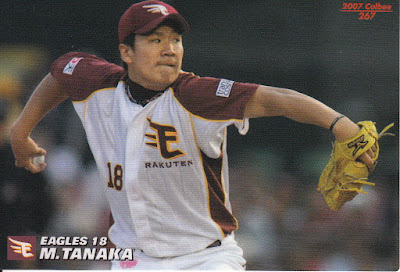 This is the sixth time that the Hawks won inter-league in the 16 years it's been held. It's also the second year in a row they've won and the fourth time in the last six years. 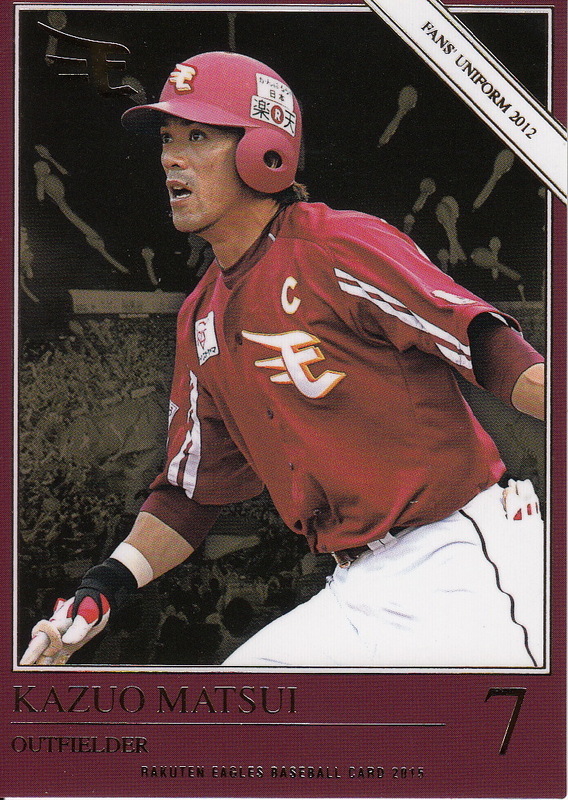 *I was doing some searches through some of my older blog entries and realized that I have highlighted the Inter-league MVP a number of times with "Card Of The Week" posts in the past. Each time I have, the post has started "Inter-league play wrapped up last week..." I think it's now become a tradition that I should continue. 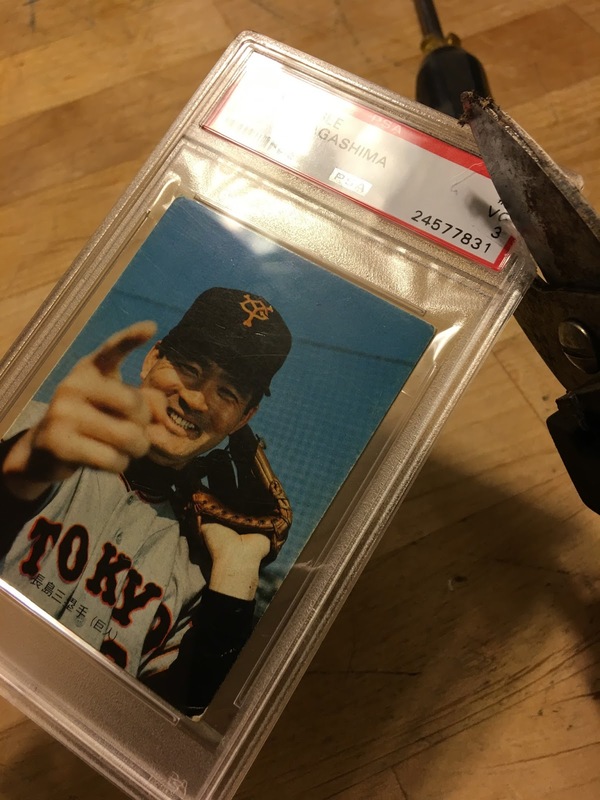 Jay Shelton sent me a link to a YouTube video showing how to liberate a baseball card from a PSA grading slab lat night and I decided to try out their technique on my 1973 Shigeo Nagashima card. It was pretty straightforward - all I really needed to do was cut the corner off the top section then use a flat head screwdriver to pop the front and back of the case apart. 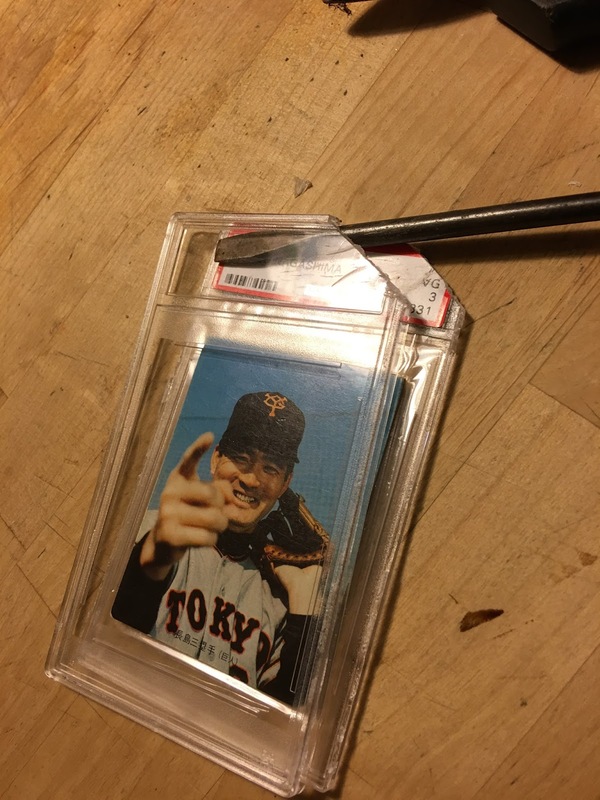 Once I found something that could cut through the top part it took about 30 seconds (like the video says) to do it. - BBM has announced two more of this year's pack based team sets. The Swallows set might be out as soon as I post this - it's supposed to hit the stores on June 24. The Hawks set will be out in mid-July. Both sets will have 81 cards in their base sets - like all the other team sets there's 70-ish cards for the manager and players on the team and 10-ish cards in a couple subsets. 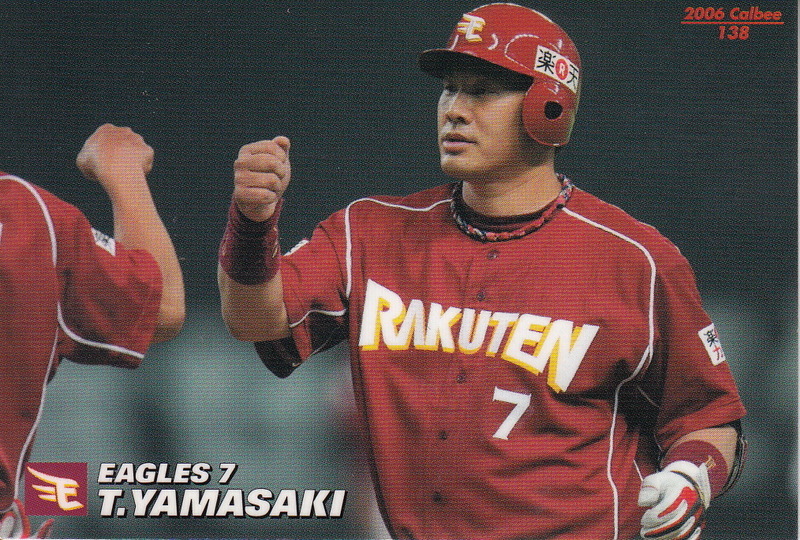 Both sets have 18 insert cards and the usual assortment of autograph cards. - The fourth edition of BBM's Classic set is due out in early July (Jambalaya has it on the 8th). 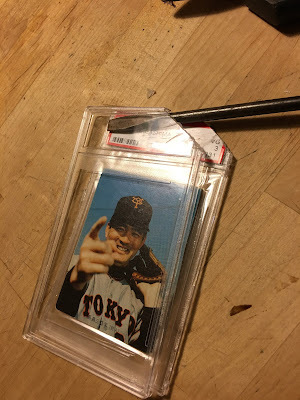 Classic is essentially BBM's version of Topps' Heritage and Archives sets. 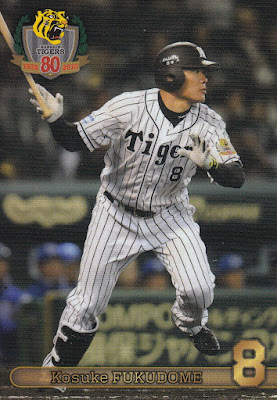 Like the previous editions, there are 108 cards in the base set. 72 of these are for current players (6 per team) and will use the design of the 1994 BBM set. 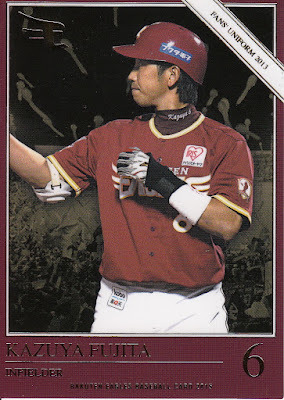 The other 36 cards are for OB players (3 per team) and will use the design of the 2002 BBM All Time Heroes set. Two of the three insert sets use older designs as well - there's a 24 card "All Around Players" set that reprises a design from the 1995 BBM set and a 12 card "3D Magic" set that looks like the 1996 "Magic Motion" insert set - the cards use a "SportsFlic"-like lenticular design. 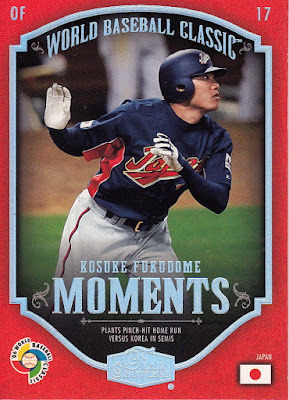 The other insert set features 12 reprints of BBM rookie cards of active players. 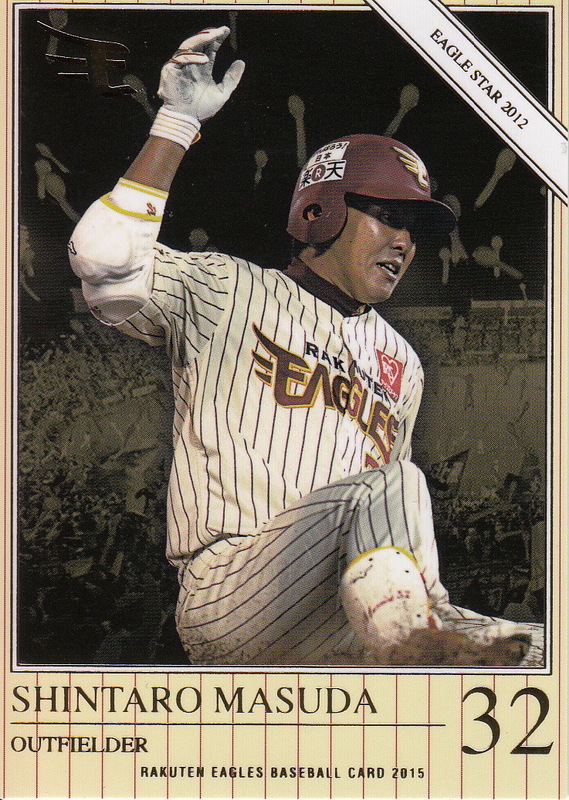 There will be memorabilia cards (using a design from the 2003 Fighters team set) and autograph cards - including "buy back" cards that BBM bought on the card market and had players autograph. - The second of BBM's annual sets dedicated to the cheerleaders and dance teams for various teams - Dancing Heroine Mai - will be released in late July (Jambalaya says it will be the 22nd). This is a pack based set featuring at least 87 cards in the base set - there will probably be more but it looks like the cards for the Buffaloes and Baystars cheerleaders are not set yet. 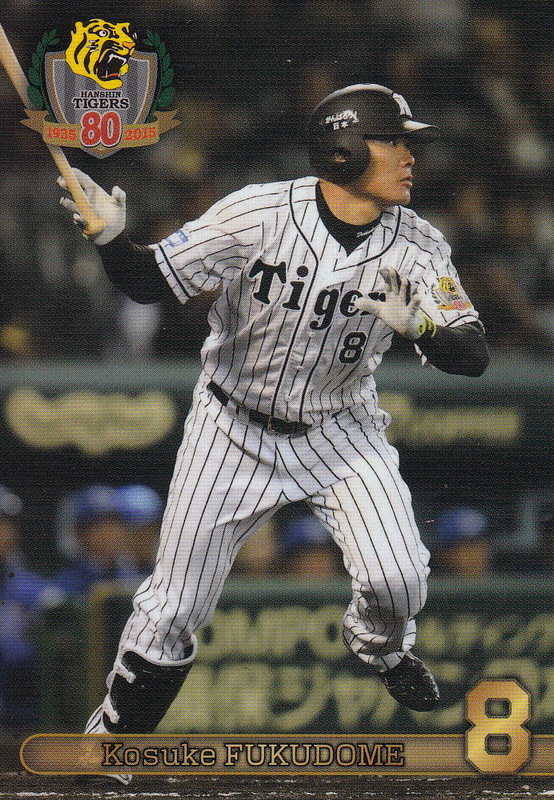 Each of the base set cards has a "holo" parallel and there are autograph cards and "cheki" cards available. - Epoch has announced yet another high priced set. This one is called "Pacific League" and features active players from the six Pacific League teams (naturally). 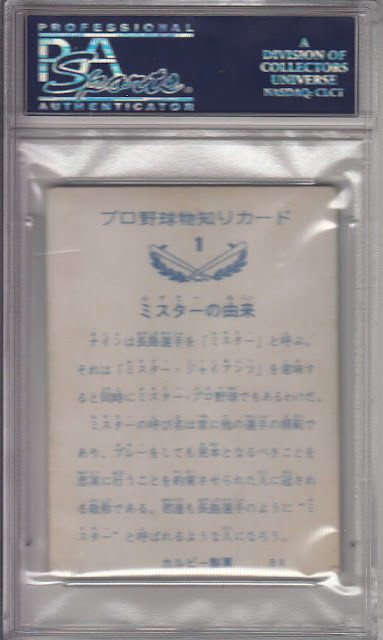 The base set has 54 cards (nine per team) but as you'd expect from one of these crazy Epoch sets, there's a myriad of possible parallel cards as well as various autograph and memorabilia cards available. The set is being sold in boxes of six cards with a MSRP of 16,200 yen (roughly $155). 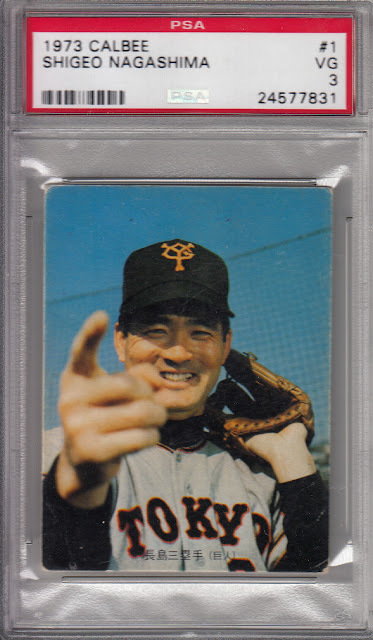 The six cards include three base set cards, one parallel card, one shadowbox card and one "special" insert card (which I assume is either an autograph or a memorabilia card). The set will be out in mid-July. To say Seiya Suzuki of the Carp had a good weekend would be an understatement. 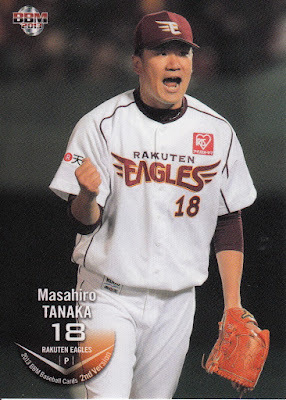 On Friday night, the Carp and the Orix Buffaloes had a 4-4 tie going into the bottom of the 12th inning. 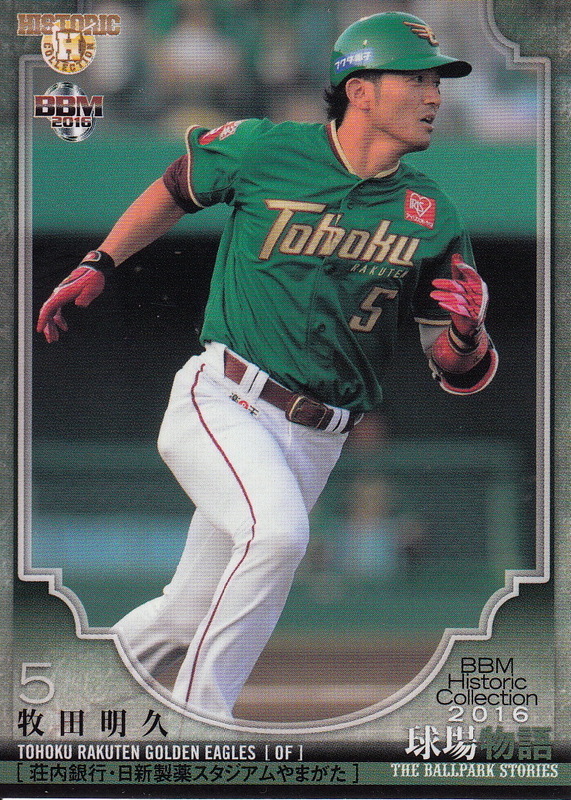 Yoshitaka Isomura led off the inning with a double and Suzuki then homered to left field off of Motoki Higa to win the game 6-4. 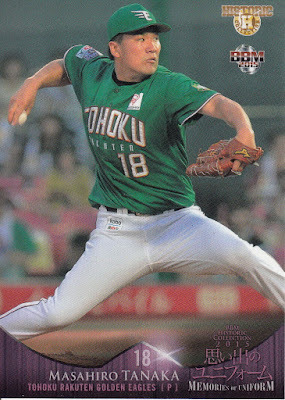 On Saturday afternoon, Orix was up 3-1 going into the bottom of the ninth with closer Yoshihiro Hirano on the mound. 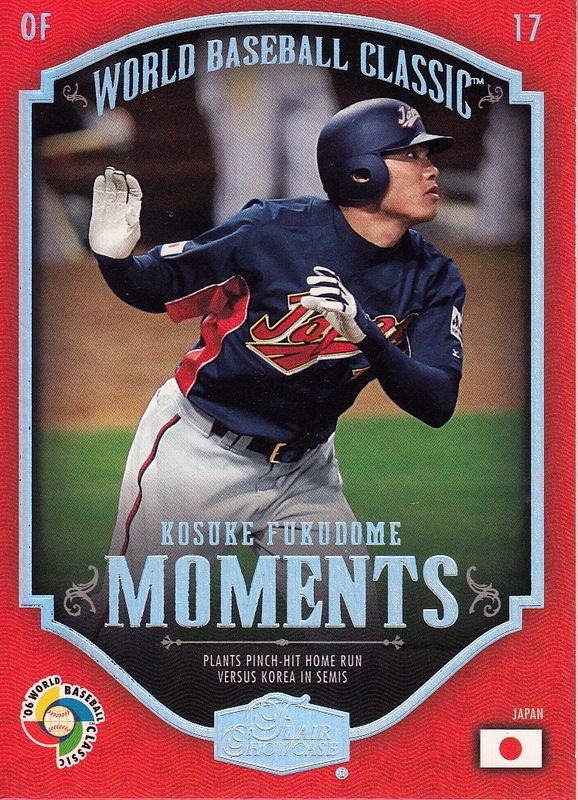 With one out and two on, Suzuki again delivered a home run to left, winning the game 4-3. He was the 10th player in NPB history to hit sayanora home runs in consecutive games and the first since Aarom Baldiris did it for Orix in 2012. 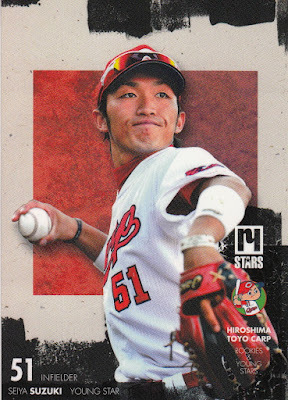 In this afternoon's game, the Carp and Orix were tied at four going into the eighth inning when Suzuki again homered to left - this time off of Sachiya Yamasaki. While not a sayanora home run, it did prove to be the game winner as the Carp held on to win 5-4. 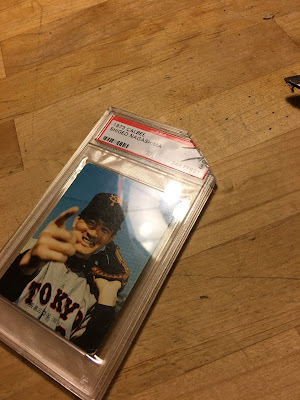 I'm not big on graded cards so I haven't decided if I'm going to leave it slabbed or take a page from Sean and see if the Baseball Card Liberation Front can help me out. 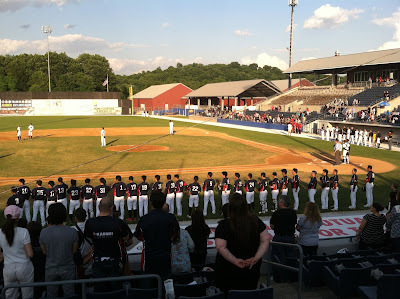 Last Saturday night I made the trek up to northern New Jersey to watch the Shikoku Island All Stars take on the Sussex County Miners of the Can-Am League. Like my trip to Little Falls last year, I was again accompanied by my good friend Chuck. The Miners play at Skyland Stadium in Augusta, New Jersey (formerly home of the New Jersey Cardinals of the New Yourk-Penn League) which is in a surprisingly rural area of the state just north of Lake Hopatcong. It was a pretty leisurely drive for us from Chuck's house and we bought our tickets for the game at the box office just as the gates were opening up about an hour before game time. I had brought a couple baseball cards with me to get autographed by pticher Junki Kishimoto and coaches Hironori Suguro and Hidenori Itoh. 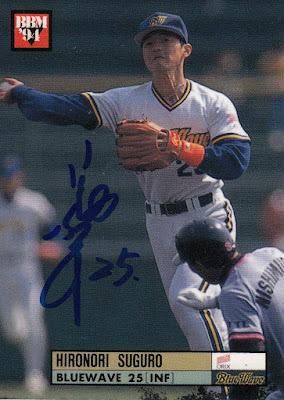 After checking out the merchandise table (and discovering that as expected that the 2XL sized t-shirt was a Japanese 2XL and wasn't going to fit me), I headed over to the All Star team's side of the field to see what I could do about the autographs. To make a long story short, I did end up getting all three autographs. 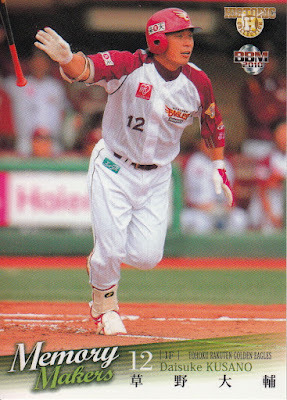 I caught Suguro in the dugout. I was really embarrassed that I initially thought he was Itoh - I think the scorecard had the uniform numbers for the two of them reversed but since Suguro is about 20 years older than Itoh, I really should have realized who he was. I apologized profusely while he signed the card. 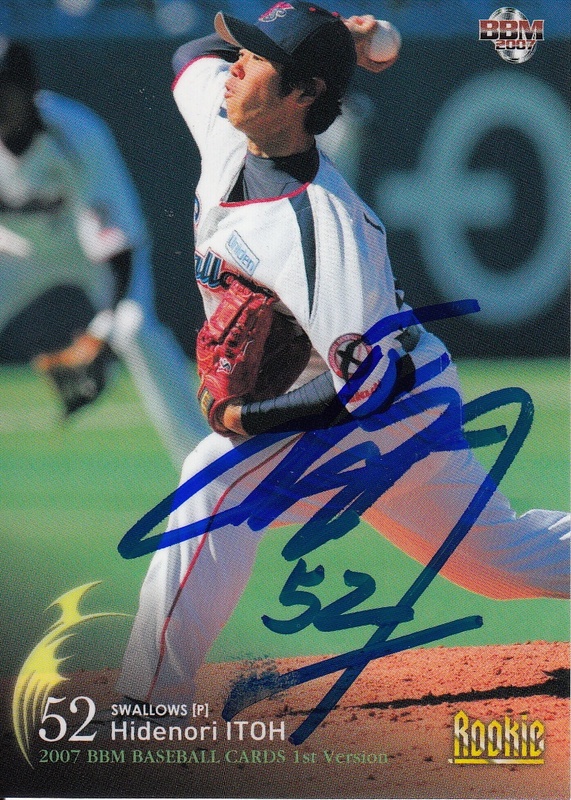 I located Itoh out in the bullpen - he was pretty amused to see a card of himself here. He spoke a little English and asked me what number he should use on the card - his current number (either 82 or 83) or the one he had as a player (#52). I told him whatever he wanted to do was fine with me - he put #52 on it. He handed me the card back and shook my hand as best we could through the cyclone fence behind the bullpen. 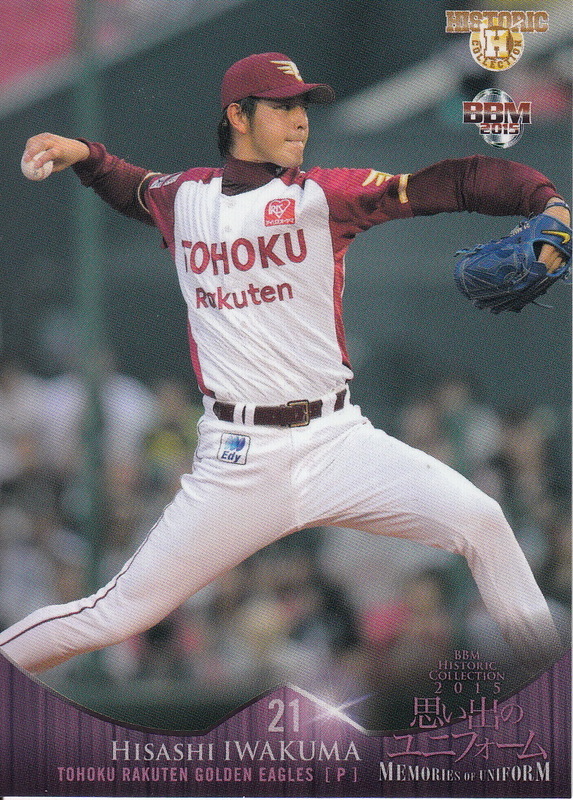 I asked Itoh if he knew where Kishimoto was and he said that he didn't really expect to see him out in the bullpen until about the fifth inning. I walked back to our seats and went off to get some food for dinner. 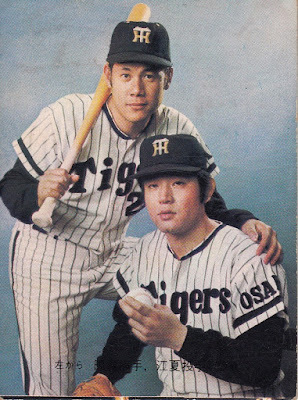 I had just started in on my cheeseburger when I realized that Kishimoto was standing over by the dugout. I put my food down and headed back over. 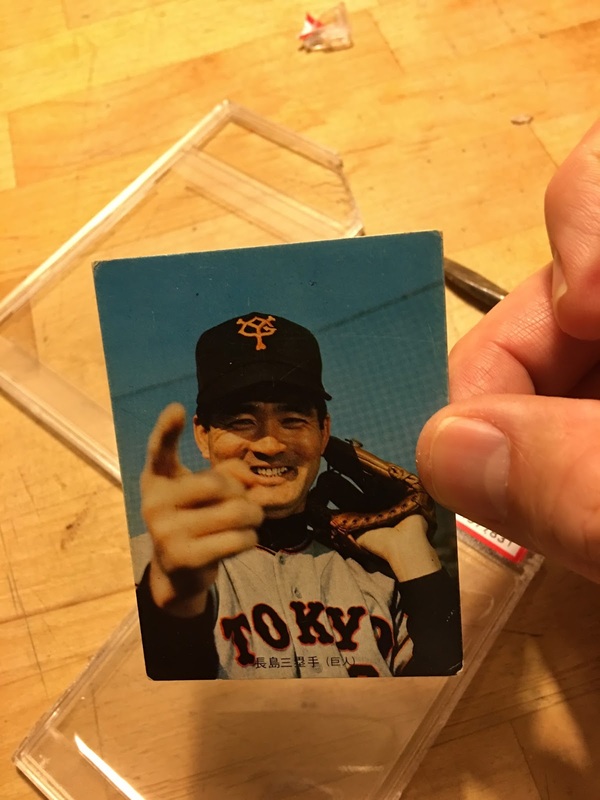 There was a guy standing on the dugout steps doing a live video stream for Periscope and when he saw that I was trying to get Kishimoto's attention, he went and got him for me. 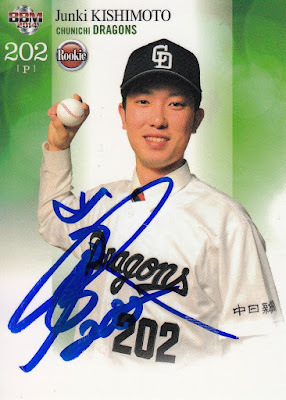 Like Itoh, Kishimoto seemed amused that I had a card of him. And I discovered later that I had made the Periscope video. If you go to about the four minute mark on the video in this tweet, you'll see me calling out to him and handing him the card to sign before the video jumps to something else. The game itself was pretty exciting. 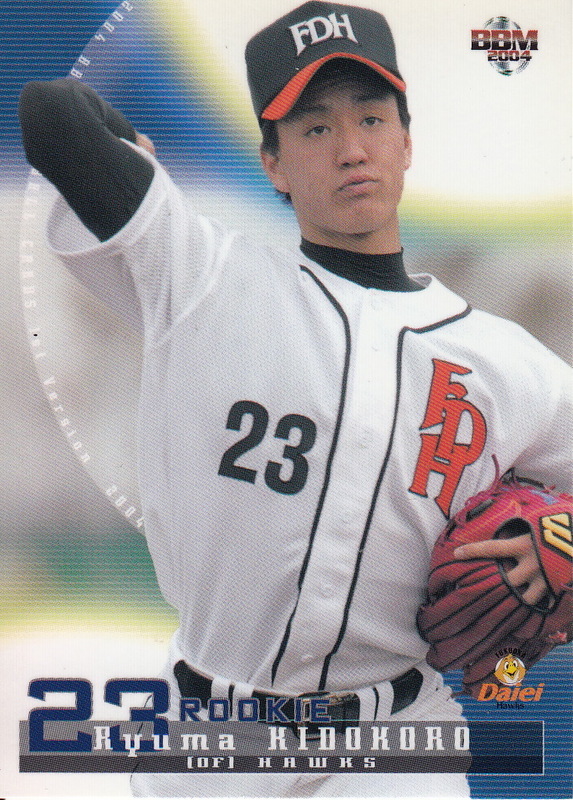 Itsuki Shoda, the 2002 Pacific League Rookie Of The Year with the Nippon-Ham Fighters started for Shikoku Island. 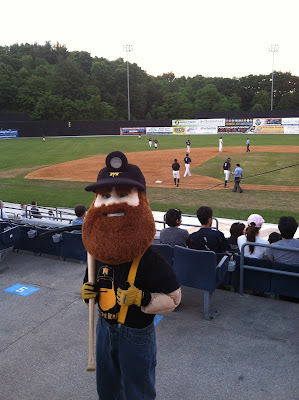 The All Stars took a 2-0 lead in the top of the third but the Miners tied it up with single runs in the third and fifth innings. Things got very interesting in the top of the eighth. With one out and two on, the All Stars executed a double steal (on the third strike to batter Takahiro Hayashi) and Yuta Ohshiro was called safe at third on a very close play. Miners third baseman Nick Giarraputo was very adamant in his disagreement with the umpire's call however and play was delayed a bit while first pitcher Stone Speer and then manager Bobby Jones interceded on his behalf. 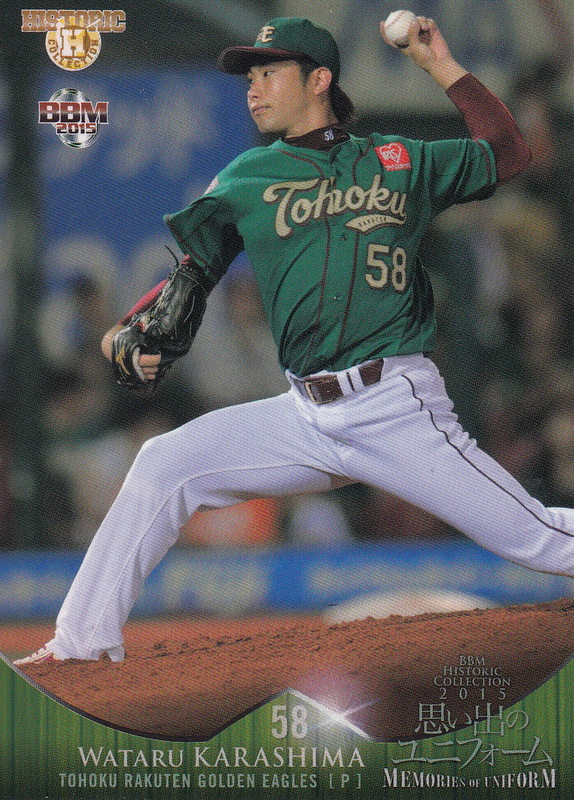 The next batter was Zach Colby, one of the two Americans on the Shikoku Island team. 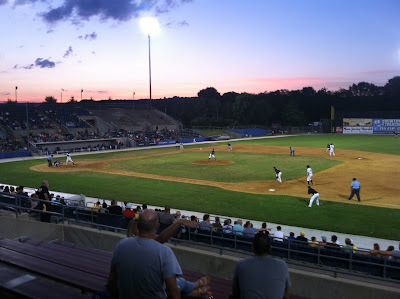 On the second pitch after the double steal, Colby hit a grounder to shortstop Ryan Dent who made an off balance throw that appeared to pull first baseman Chris Jacobs off the bag. The first base umpire called Colby out however and then things went a bit out of control. Colby started arguing with the umpire and manager Terushi Nakajima quickly came out to continue the argument. In the meantime for some reason most of the All Stars left the dugout and came on to the field as well. I'm not completely sure what happened but someone actually sprinted on to the field like they were going after the umpire and had to be restrained by his teammates. One player - Barrett Phillips, the other American on the team - was ejected during the fracas. I'm really not sure what to make of what happened and I've been unable to find anything on-line about it - it didn't make the game's write up and I haven't seen anything else about it. You can watch the replay of the game and see what you think - the whole thing starts around the 2 hour, 20 minute mark. 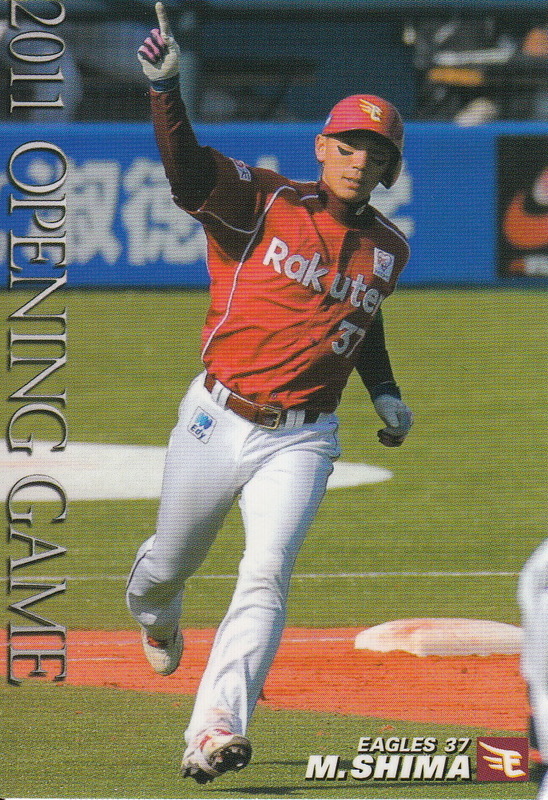 The game remained tied until the top of the 11th when Shikoku Island took advantage of the international extra innings rule that has team start each inning after the 10th with a runner on second and scored two runs. 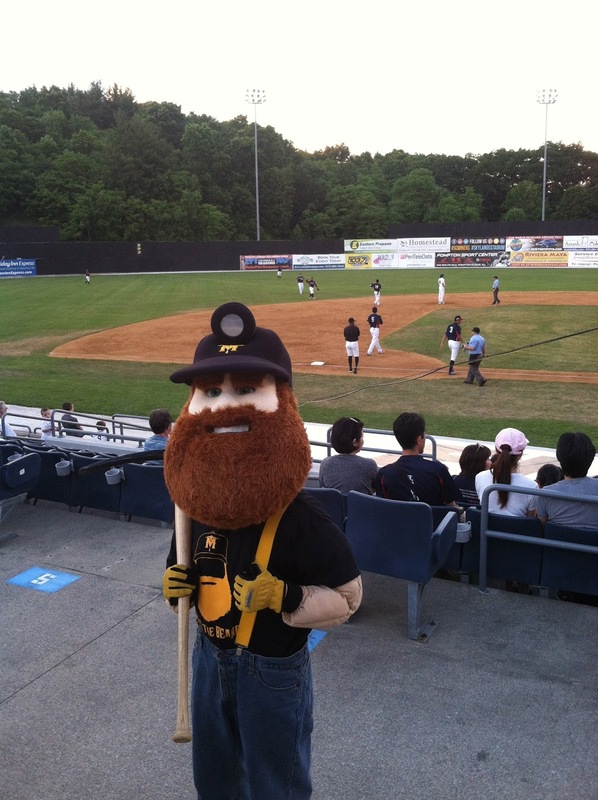 The Miners rallied for two of their own in the bottom of the 11th however. The All Stars had their runner picked off in the top of the twelfth inning and the Miners scored the winning run on a bases loaded single by catcher Elvin Soto in the bottom of the inning. The box score of the game is here. 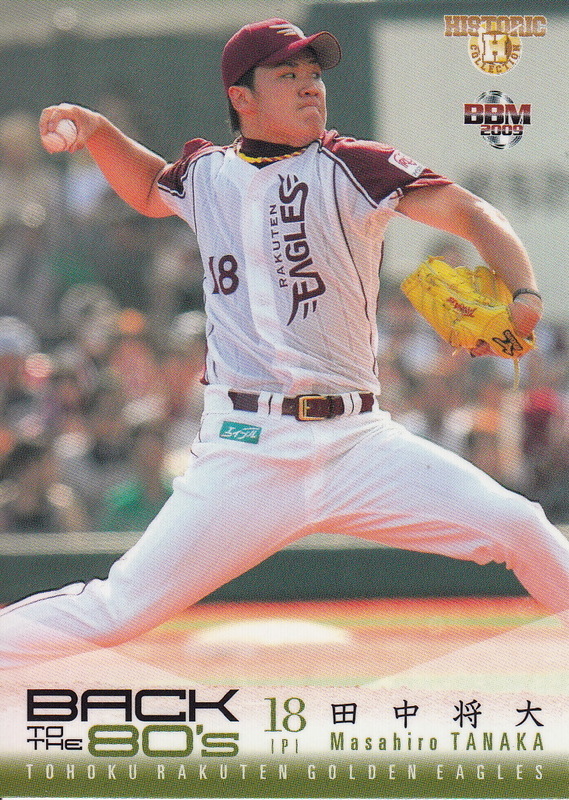 Nowadays the photos on Calbee cards mostly show action shots but that's not always been the case. They used a lot of posed shots in their first couple years. Most of those posed photos were taken on the field but there were a few that appear to have been taken in a studio.